Merry Christmas, PC owners! Steam is hosting its biggest sale of the year, with a handful of PC digital gaming retailers following suit. Merry Christmas, everyone! It's time to celebrate that time of year by filling your stocking with new games. And Steam has more gifts than Santa Claus this year, offering up discounts on thousands of games. We listed as many as we could here, but there are far, far more to be found on Steam's service, so brew some coffee and get to browsing. Meanwhile, there are several other major retailers also hosting huge sales. Blizzard is offering up deals on all of its major franchises, including the Activision-owned properties. World of Warcraft players may want to pick up a mount while they're all half-off. Also, Humble Bundle is offering up an amazing Sonic the Hedgehog bundle, offering up some of Sonic's better games, along with the option to grab both Sonic Mania and Sonic Forces for $15. Meanwhile GOG.com, Green Man Gaming, and Fanatical are all hosting massive sales, some with coupon codes to stack onto the pile. 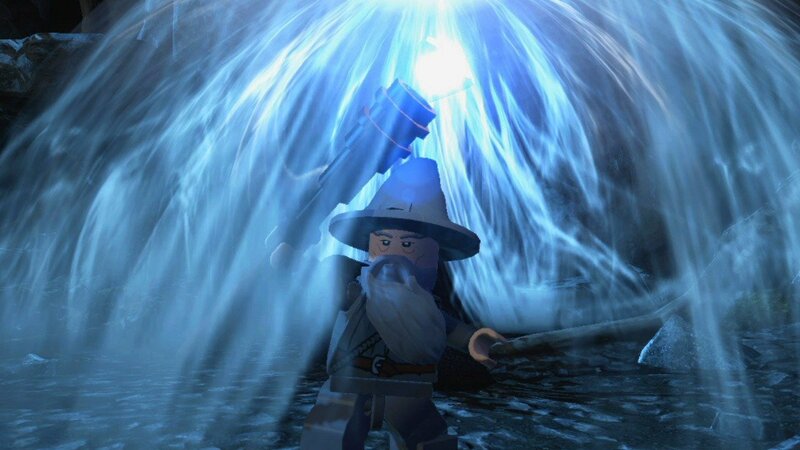 All this, plus LEGO: Lord of the Rings, free from the Humble Store! Merry Christmas! Find all of the games featured during the Direct2Drive Last-Minute Stocking Stuffer Sale. Use the coupon code FANATICAL10 to receive an additional 10% off of your purchase. Restrictions apply. Pay $4.99 and receive The Age of Decadence, Styx: Shards of Darkness, Star Wars: Knights of the Old Republic, Star Wars: Knights of the Old Republic II, Star Wars: The Force Unleashed Ultimate Sith Edition, Oxenfree, The King of Fighters XIII, Metal Slug X, SimCity 4 Deluxe Edition, and Shadowrun: Hong Kong Extended Edition. These activate on Steam, however it should be noted that Star Wars games and SimCity 4 are labeled for Mac. Or pay $21.99 for PlayerUnknown's Battlegrounds and the Vikendi Survivor Pass. These activate on Steam. Or pay $4.99 and receive F.E.A.R., F.E.A.R. 2: Project Origin (w/ Reborn DLC), and F.E.A.R. 3. These activate on Steam. It's Christmas time at GamersGate! Check out all of the games featured in the GamersGate Christmas Sale. As part of its Winter Sale, GOG.com is offering one-day deals on great games each day through Christmas. Visit GOG.com for the latest deals. Save an additional 12% off of games already on sale with the code GMG12. Restrictions apply. That's the beginning of what Green Man Gaming is offering up for the holidays. 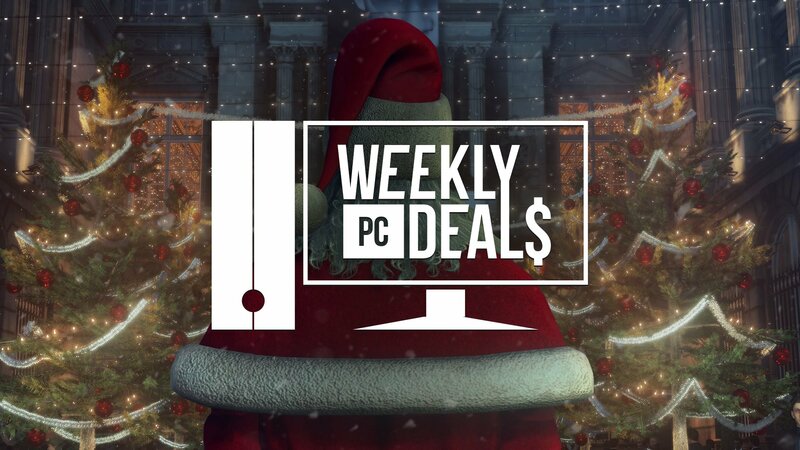 Find the full list of featured deals in the Green Man Gaming Holiday Sale. Subscribe to Humble Monthly for $12 and receive Just Cause 3 XXL Edition, Wizard of Legend, and Project CARS 2, with more games added every month. These game activate on Steam. It's that time of year again for the Yogscast Jingle Jam bundle. Pay $5 for the Call of Duty: Black Ops 4 C.O.D.E. Salute Pack and a shoutout on the Yogscast Stream. Pay $35 to also receive Animal Super Squad, Kabounce, The Greater Good, Batalj BETA Two-Pack, CardLife: Cardboard Survival (SOLD OUT! ), a 40% discount off of any purchase at Displate.com, Warhammer: End Times Vermintide, Guilty Gear Xrd -SIGN-, Guns of Icarus Alliance Collector's Edition, Switchblade, Tower 57, Unit 4, Throne of Lies: The Online Game of Deceit, Freaky Awesome, the Guild Wars 2 Jingle Jam 2018 Pack, Lakeview Cabin Collection, Chivalry: Medieval Warfare, Game Dev Studio, No Time to Explain Remastered, Convoy, Slime-san, Westerado, Double Barreled, Space Pilgrim Episode I: Alpha Centauri, Don't Stand Out, Sure Footing, Race The Sun, Zero G Arena, Squidlit, LostWinds 2: Winter of the Melodias, Elite Dangerous: Cobra Mk III Ship Skin, Jurassic World Evolution Ankylosaurus Skin (Vivid Variant), Anomaly 2, Anomaly Defenders, Anomaly Korea, Anomaly: Warzone Earth Mobile Campaign, Anomaly: Warzone Earth, Splotches, Fort Meow, Sorcery! Part 3, The Haunting of Billy, Marvin's Mittens, Blade & Bones, Indecision, Future Proof, Temple of Xiala, Cloudborn, Perfect Heist, Mindball Play, Clatter, Deep Dungeons of Doom, Cube Link, R-COIL, Detective Case and Clown Bot in: Murder in the Hotel Lisbon, Splash Blast Panic, Dungeon Escape, Pizza Titan Ultra, Tross, Last Encounter, LOVE, Clicker bAdventure, Hello Pollution!, VoidExpanse, Super Steampunk Pinball 2S, and new games and items revealed every single day until Christmas day. DRMs vary, but most of the games featured are redeemable on Steam. Or pay $1 for Sonic the Hedgehog 4: Episode 1, Sonic Adventure DX, Sonic CD, Sonic & SEGA All-Stars Racing, Sonic Adventure 2, and the Sonic Adventure 2 Battle DLC. Pay more than the average $7.19 to get Sonic & All-Stars Racing Transformed Collection, Sonic Lost World, Sonic Generations Collection, and Sonic the Hedgehog 4: Episode 2. Pay $15 or more to also receive Sonic Mania and Sonic Forces. These activate on Steam. LEGO Lord of the Rings [Steam] - FREE UNTIL THE END OF FRIDAY! Find more featured games in the Humble Store's 2K Games Sale. Find the full list of deals featured in the Ubisoft Store Winter Sale. The Steam Winter Sale has begun! That means hundreds of discounted games! If you visited Shacknews on Thursday, you saw that we listed a few games worth picking up. If you missed, check out our Best Deals from the 2018 Steam Winter Sale.